OpenWrt is an open source firmware under GNU licenses to developed by OpenWRT core team to provide the additional feature for OEM Brand routers to speedup router performance more than default firmware. you can download your router supported firmware from OpenWRT table of hardware. keep in mind wrong firmware upload can damage your new router so before uploading make sure you are using correct model no firmware. We provide you configuration support for OpenWrt firmware free of cost. 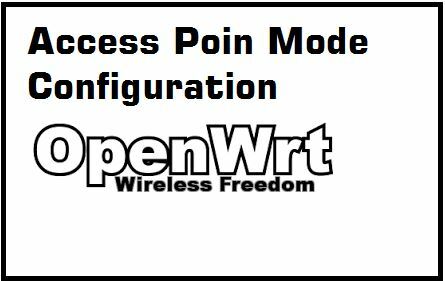 In this post, you can learn OpenWrt Access Point Mode Configuration step to step. If you are using OEM firmware in your router currently and you want to upgrade it to OpenWrt firmware to make supercharge and increase performance and stability of wireless router speed and connectivity than you can get supported firmware from here (https://wiki.openwrt.org/toh/start). Just see your router model no. the backside of the router and find the supported firmware version. Note: Please make sure you are upgrading correct firmware version as per supported by your router hardware, wrong firmware can permanently brick your router. Do it at your own risk. 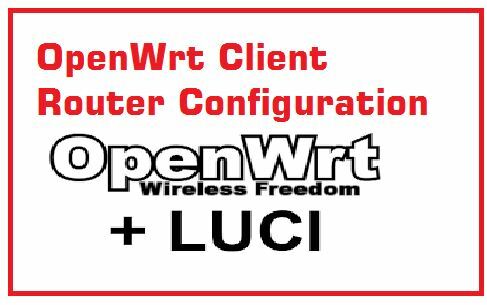 Before start configuration, your Laptop or PC LAN configuration should be done to access OpenWRT device without error. For accessing any network device and Wireless router your Laptop/PC must have the same series IP Address in LAN properties. Now start configuration OpenWrt Router. Open OpenWrt Web interface with Default IP Address. 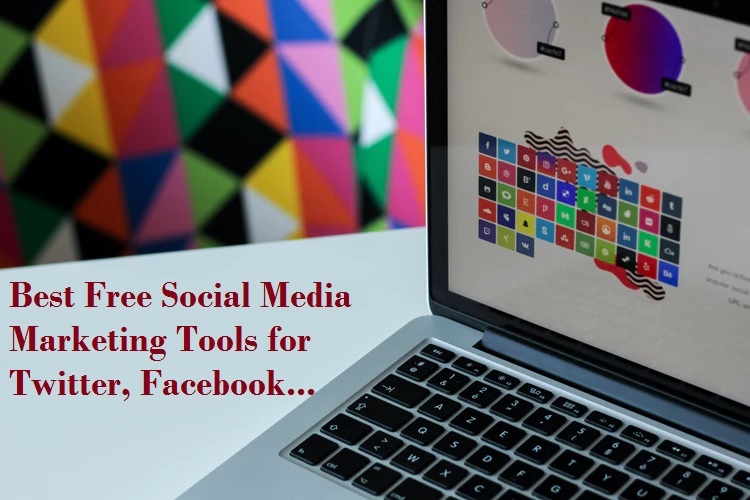 Open the internet browser such as Google Chrome, Firefox, Internet Explorer and type 192.168.1.1 in the URL bar and hit the enter key. You will OpenWrt page with Authorization Required, put default username and password as given below to login device. Change and Set OpenWrt Password First time. After login, you will get a yellow color notification No password set. Note: By default in OpenWrt firmware Wireless Disable. Click the Enable button in Networkà Wi-Fi to start Wi-Fi signal broadcasting. 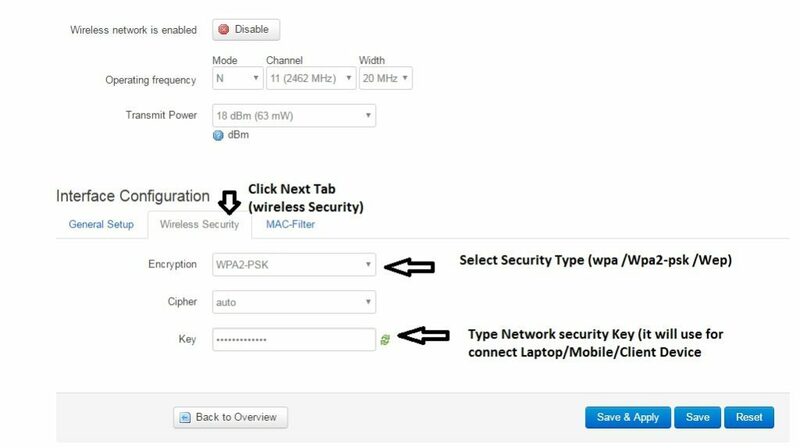 Recommended WPA2PSK security type to protect strongly your Wi-Fi network from hackers. In additional you can use Mac filtering feature to disallow unknown user to connect your Wi-Fi router if they know your password. Mac filtering option will add extra security layer in your Wi-Fi network protection. Use alphanumeric with minimum 8-digit of the security key. 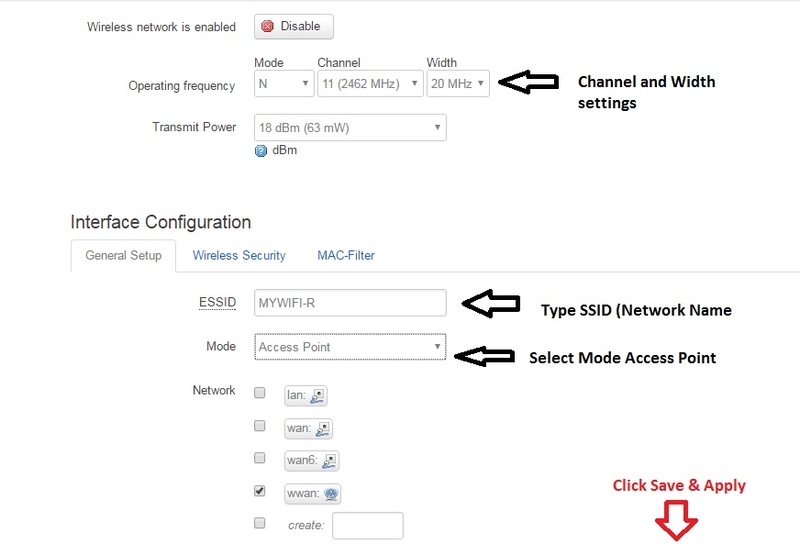 To using MAC Access list in OpenWrt router follow then below steps. Click 3rd tab in Interface Configuration Next to Wireless Security. Choose the MAC access type. 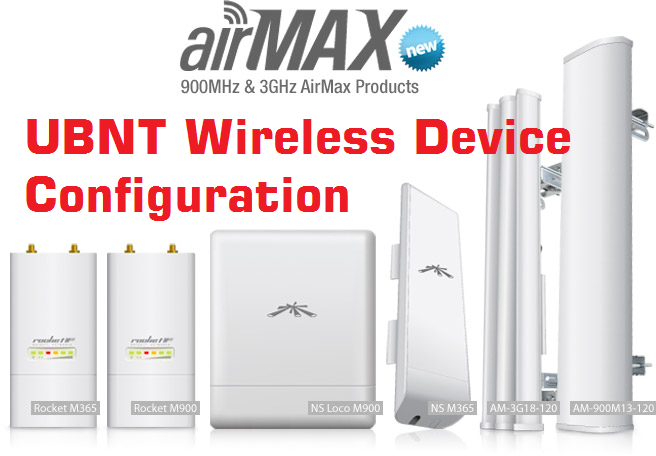 Allow only MAC listed ( you have to Add Mac address of Client Device you want to only connect to this router. If MAC will not add in list device will disallow Mobile/Laptop. Not Allow Mac Listed (This option will deny the connection of client Mac added to this list. The only Device can connect if MAC not added in this list. 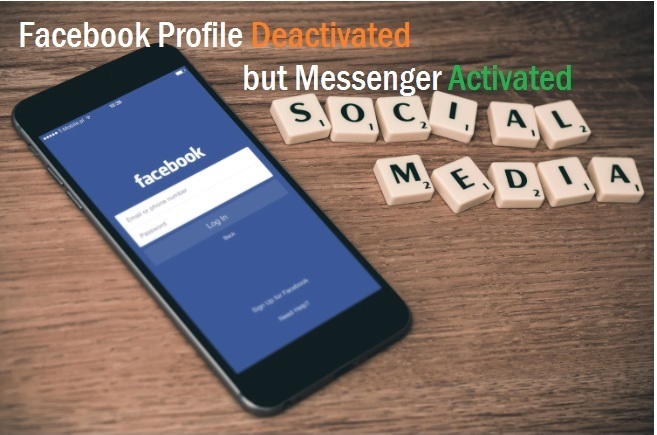 Click Save & Apply For Settings Changes. Disable Access Point DHCP before use device in the network. If you are using ADSL router and modem Internet connection you than DHCP server must be disabled in OpenWrt Access Point using in the network. Enabling DHCP in Access point can be the issue with internet browsing because more than one DHCP server can not work in the same network. So make sure if your Router or Modem DHCP server enables then disable Access Point DHCP server. For DHCP server in OpenWrt follow the given below steps.